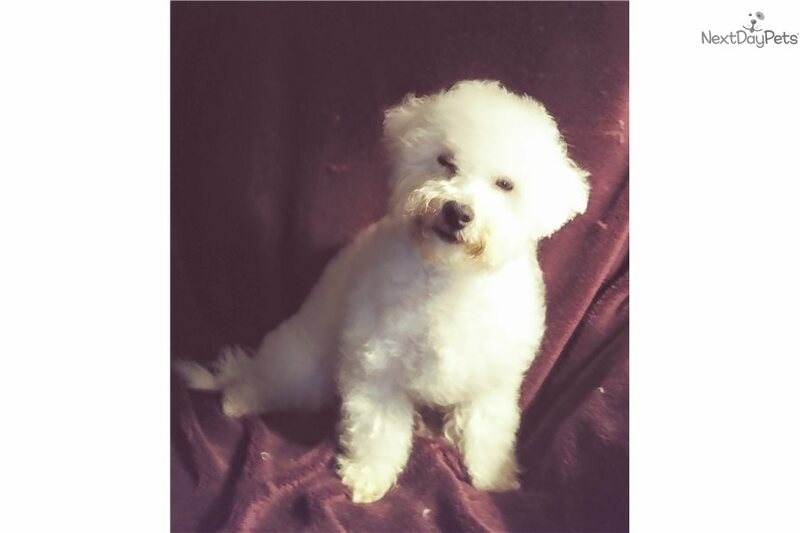 This Bichon Frise nicknamed Beau sold and went to a new family. in Houston, Texas. 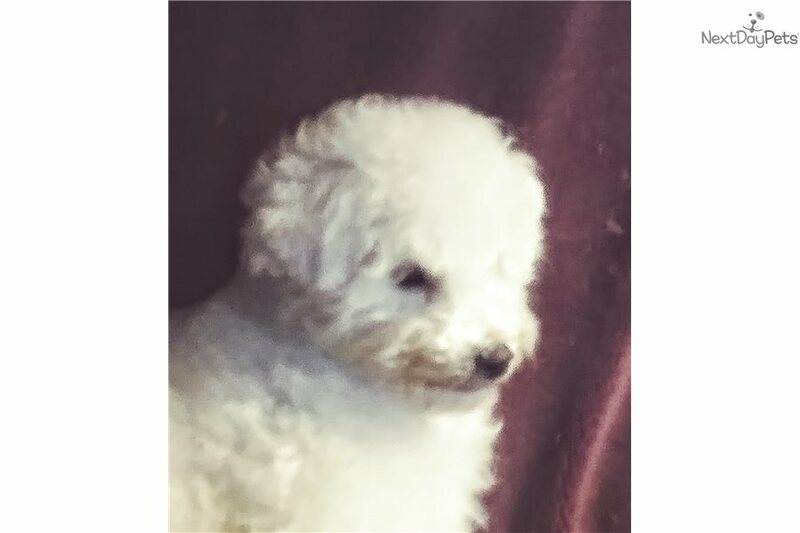 Beauregard (Beau) is a stout, fluffy, beautiful AKC Bichon Frise puppy, the smaller boy of the litter,: Son of Master Maximillian Marceau Dubois. He is funny and spoiled. We expect him to end up 10 - 13 pounds. His daddy has a pedigree with over two dozen champions on it, including world famous " JR " (Special Times Just Right) and " Wild Bill " He has litter box training. (we own the parents) his coat is changing as his adult coat comes in at this time. He gets prettier every day! and loves to be groomed. Includes combination vaccinations (2), and worming, instructions, guarantee, and a toy from mom. 832-274-8696 Call or text for more photos or information. He is all white, as are his parents. Bichon Frise - the ultimate lap dog! Guarantee includes: Two business days for vet check; Ten days regarding communicable disease; One year regarding hereditary/ congenital. He lives in the house, and likes the TV, and they are fascinated with the electric revolving fish bowl. Deposits for a short time only. We can keep him for awhile after purchase. Most Credit Cards and Paypal accepted.